Elizabeth D. Liddy, dean of the School of Information Studies (iSchool), has named Professor Caroline Haythornthwaite as the next director of the school’s library and information science graduate program. The program includes master’s degrees in library and information science and library and information science-school media. Haythornthwaite will begin her tenure as program director at the start of the next academic year in July 2017. 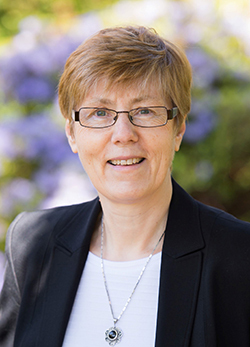 She will take over from Associate Professor of Practice Jill Hurst-Wahl, who has served in the position since 2012. Haythornthwaite earned her Ph.D., her master’s in information science and her master of arts in psychology from the University of Toronto, and her bachelor of science in psychology from Trent University in Peterborough, Ontario.